An educational project about how to make paint. 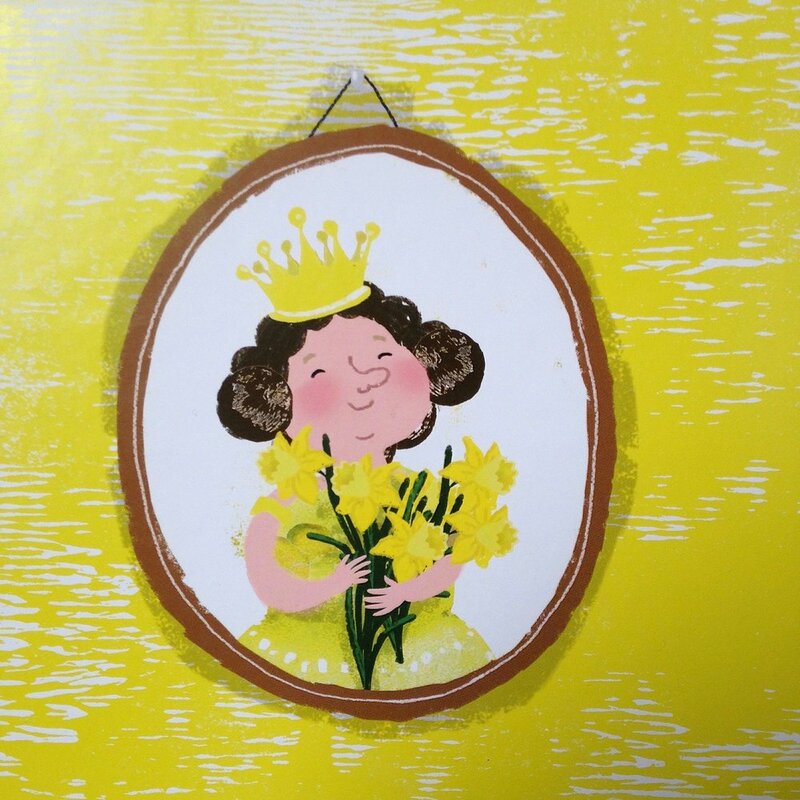 'Een likje verf voor prinses Rosa' (A lick of paint for princess Rosa) It was challenging because I had to work with the mono-print technique. It includes a big illustrated poster too. That's folded in the ring binder. My book in the shops! I have made the illustrations for a new book written by Marianne Busser & Ron Schröder. Lovely short bedtime stories for the little ones. The book will be published in January 2017. Baby milestone cards. These are 8 cards from a series of 25. I have made them for Alphabet. (The Dutch division) Their core business is to find mobility solutions for company's. These cards are going to be a present whenever a little baby is born. What a great evening. I have met so many nice people / talented illustrators at the exhibition! A big thanks to everyone (especially Star) at Plum Pudding. I'm attending the Plum Pudding exhibition in May 2016. This is the illustration that I made. It's about friendship. The kids and the (little) animals, they all have a friend. If you look closely, even the spider has a friend coming over! 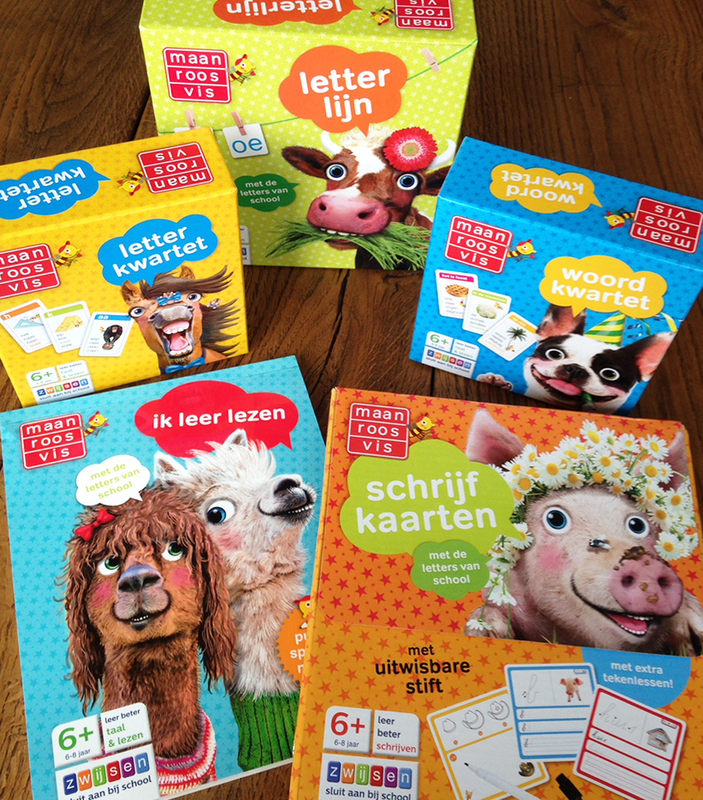 The animals I make for the dutch children's magazine 'Maan roos vis' are going to be famous! They are placed on some new educational games. You can buy them online here at the Zwijsen-shop. But the games are also for sale in the AH stores in the Netherlands! And the the display I have seen is ... quite empty. That is a good sign I think! I was looking for an agent to represent me outside The Netherlands and Belgium. And I found one! "Many thanks for your submission to Plum Pudding. We really enjoyed looking through your work and you have some great samples on your website. We at Plum Pudding would absolutely love to represent you!" Just before christmas I received the Princess handbag. I decided it wasn't the right time to place some photos. But maybe now it is time for a little pink? For clients and clients to be. A little present for Christmas! On the doormat! Dokadi 'Elfen en trollen' (elves and trolls) with small illustrations on the cover and as an attachment, the book 'Full moon' about fairy Ada and troll Odin. I am pleased with the result. The colours are really pretty printed! I have used photos in illustrations more often, but never before in this way. Lots of cutting and pasting in Photoshop with nightphotos and then I drew in Elf Ada and troll Odin. It was a lot of fun to make them! For Averbode (publisher), booklet Dokadi (children's magazine). Here you see some of the Shutterstock photos that I have used. 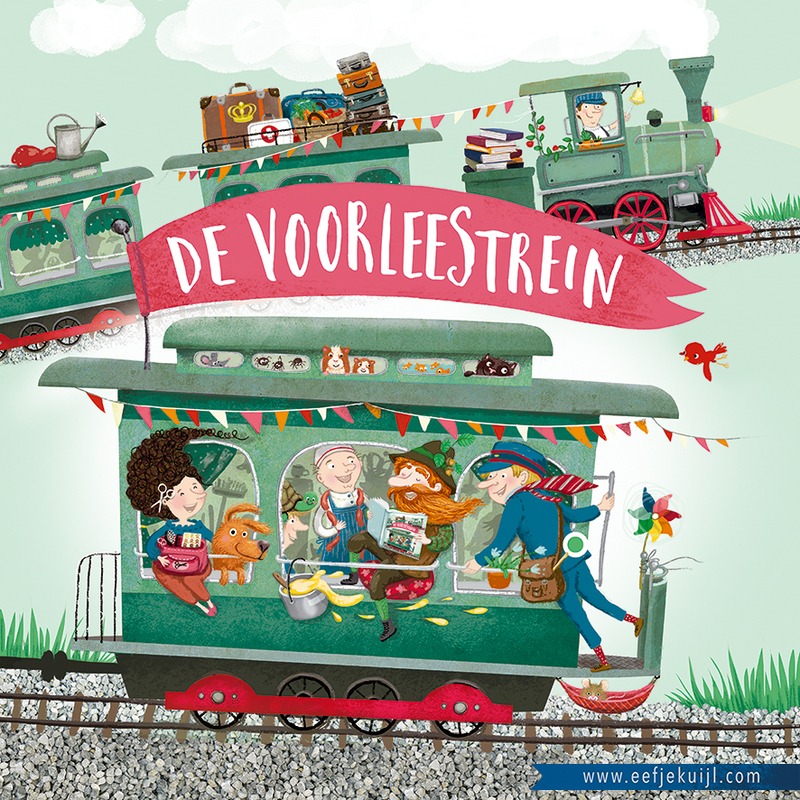 A little while ago I illustrated two books for a Belgian Publisher. In July I will start on two other volumes in this series. Very curious about the stories. I am not allowed to tell you much more about it. 'My books' are part of a larger project. Hopefully in about 6 months or so, everything is printed on paper!